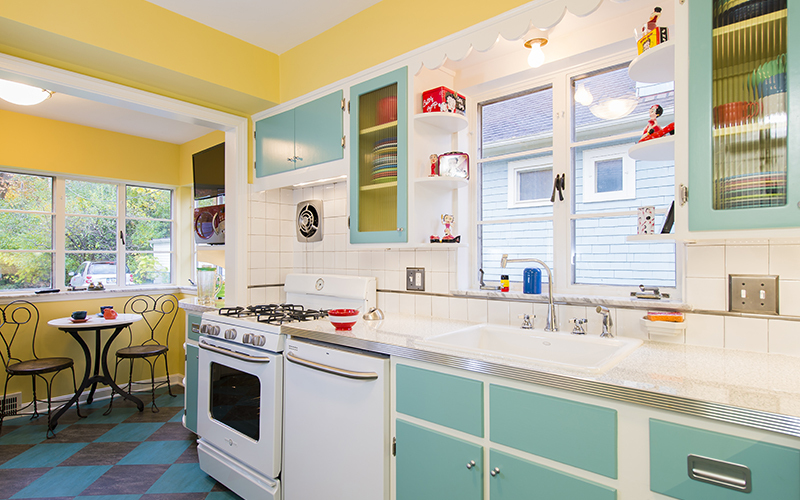 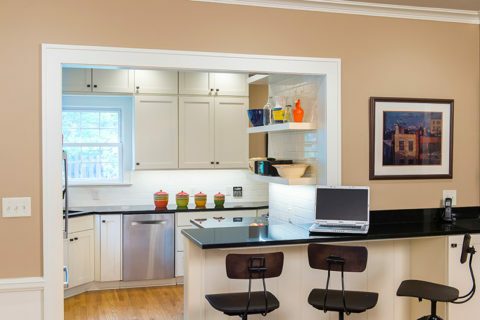 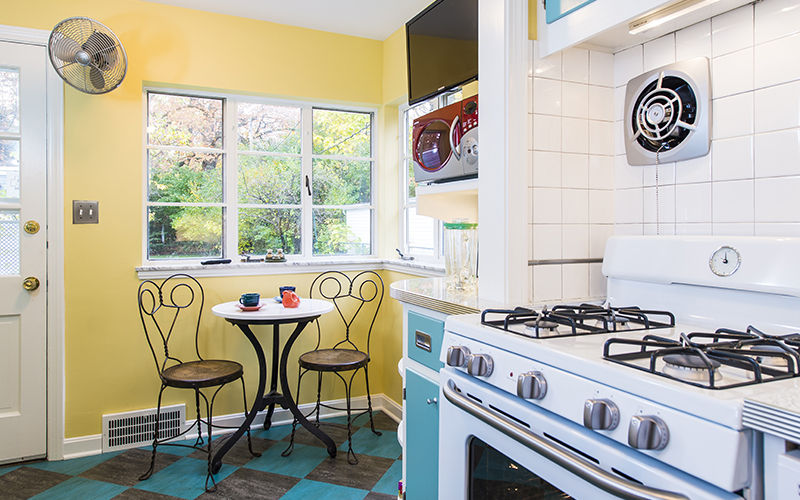 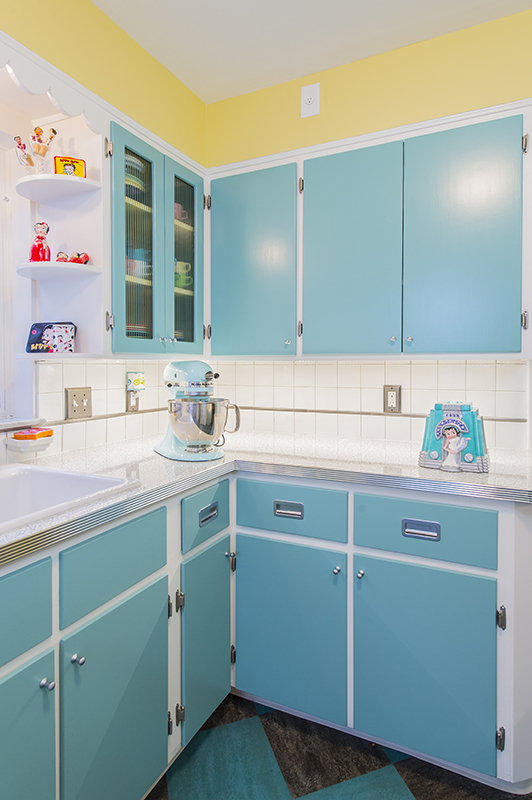 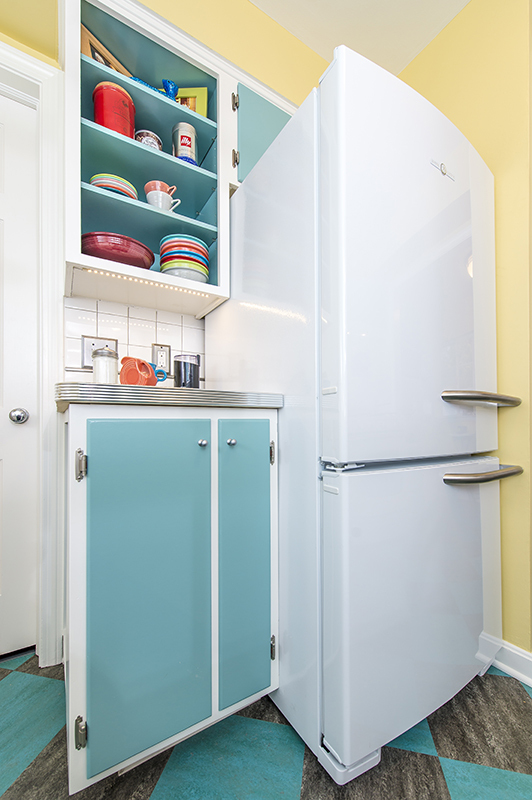 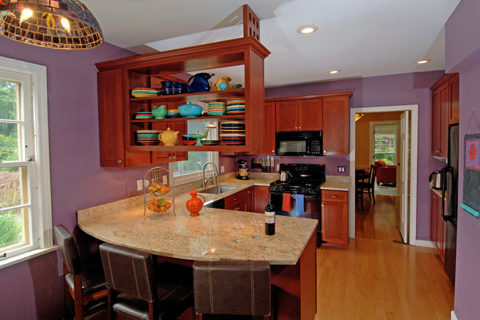 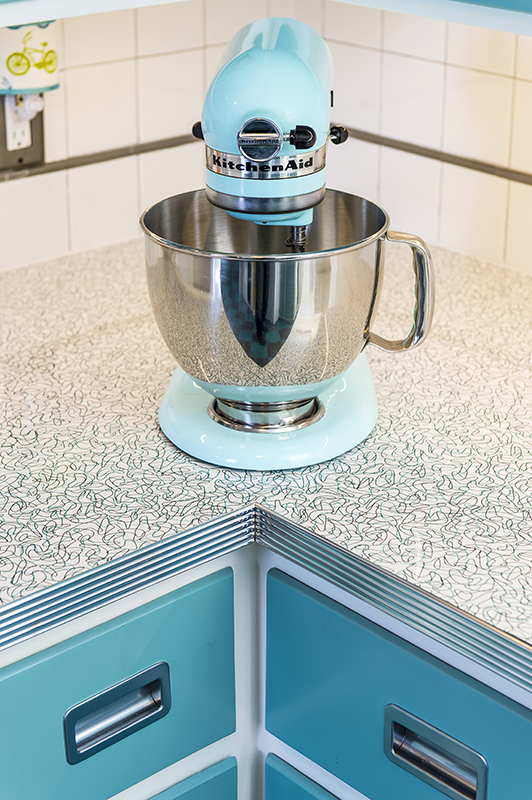 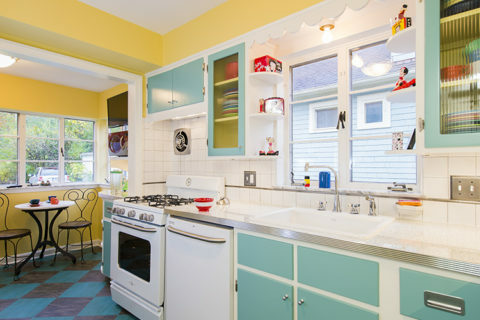 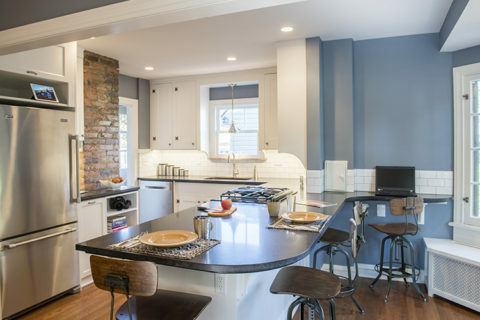 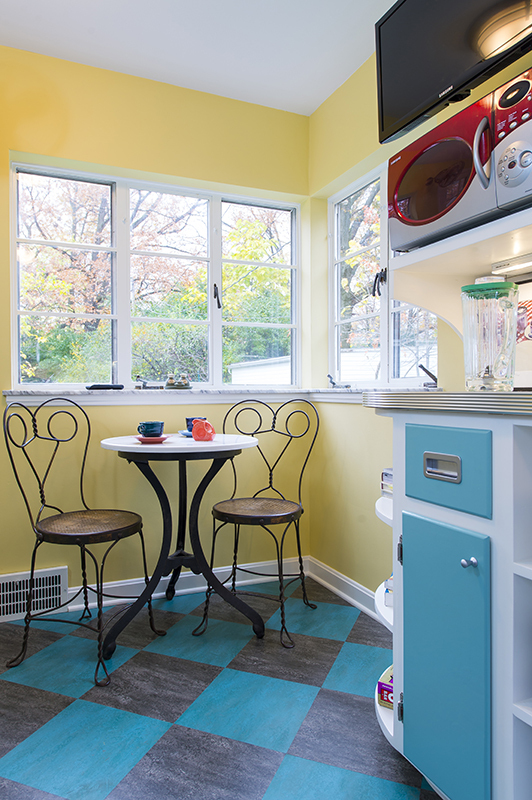 Bright colors, vintage laminate counters and Marmoleum floors, retro appliances, and collectables make this retro kitchen remodel in Cleveland Heights, Ohio. 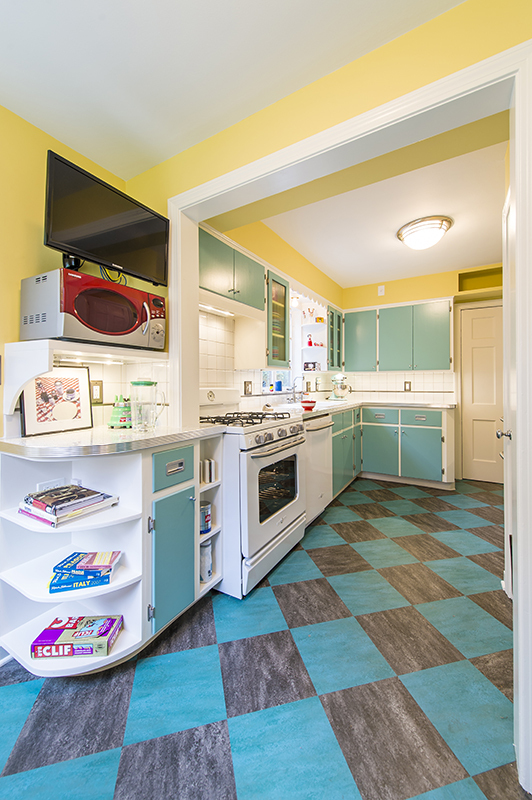 Our client was after something decidedly unique, and period specific, so we ran with a theme that set this space apart from most kitchens being done these days. 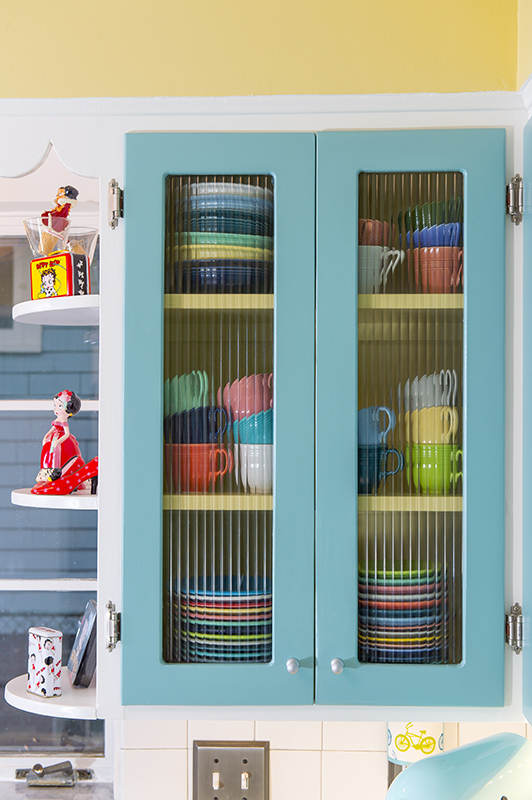 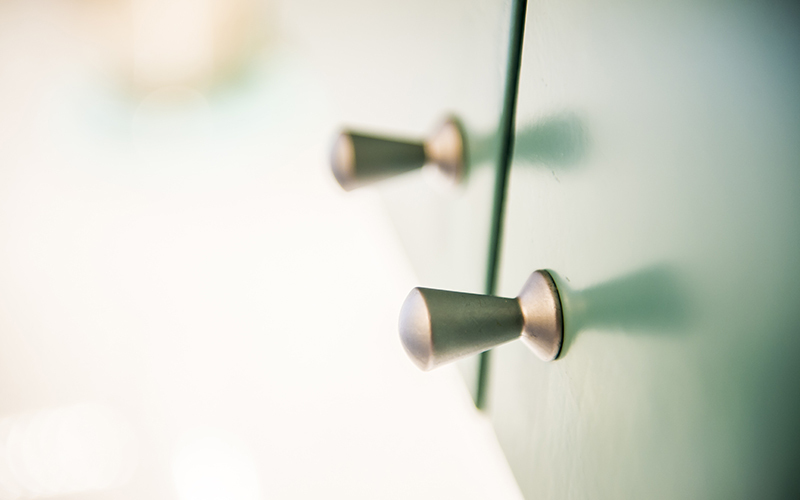 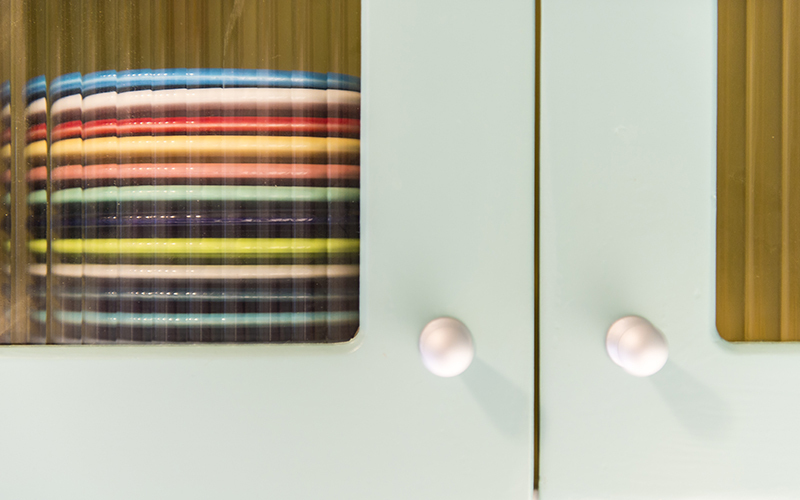 Striking the right balance of closed door storage, behind glass storage, and open display space was critical. 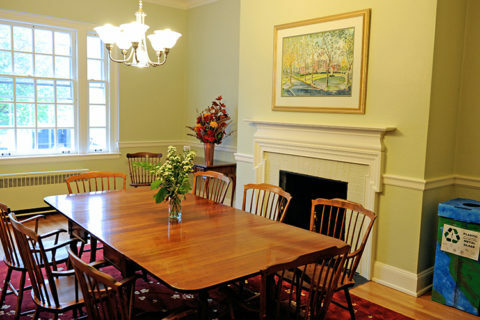 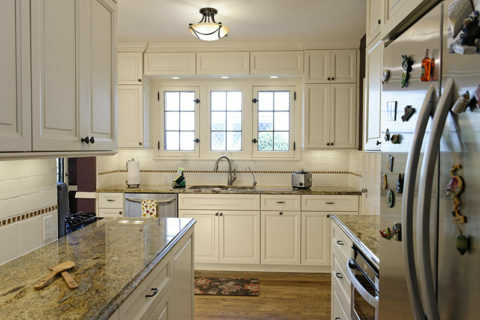 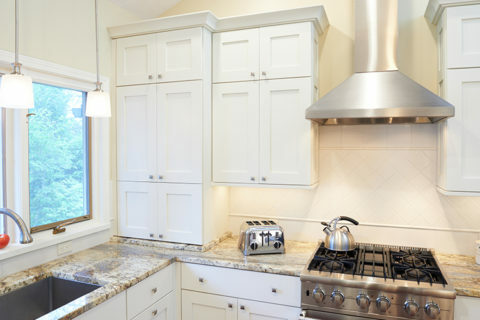 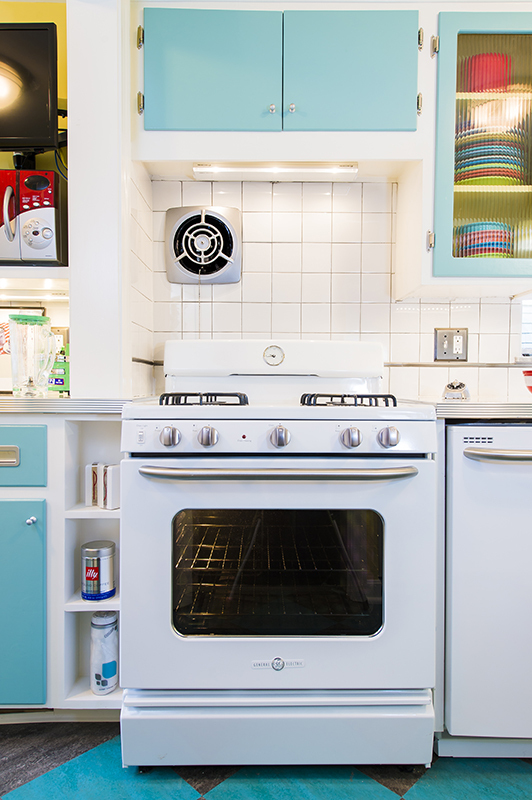 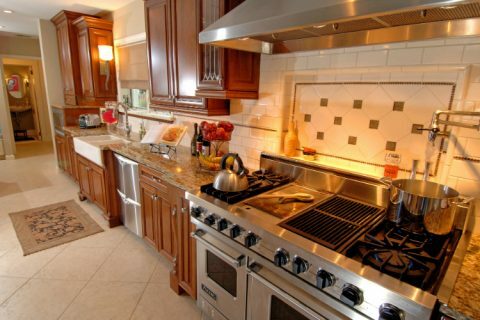 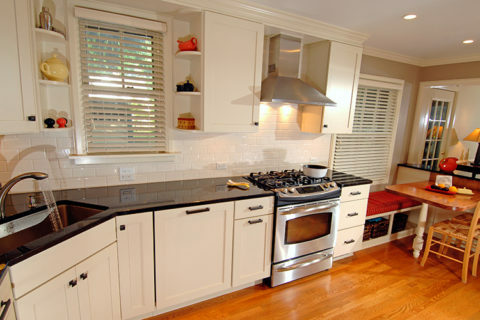 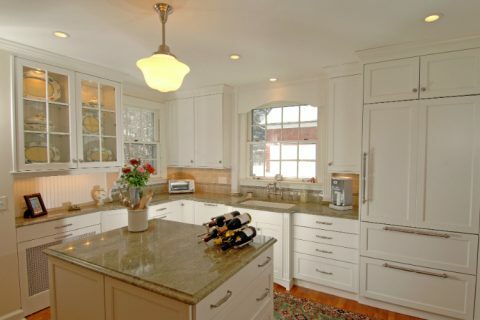 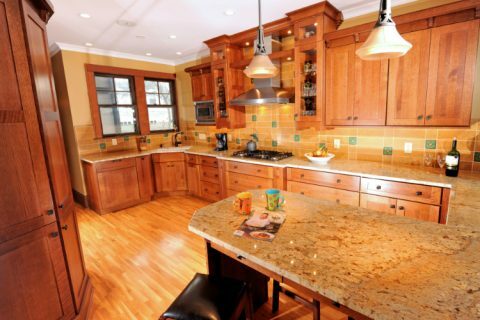 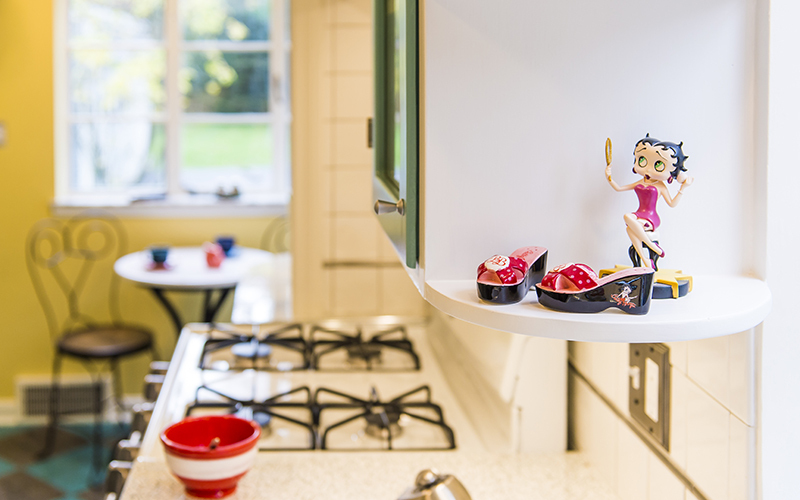 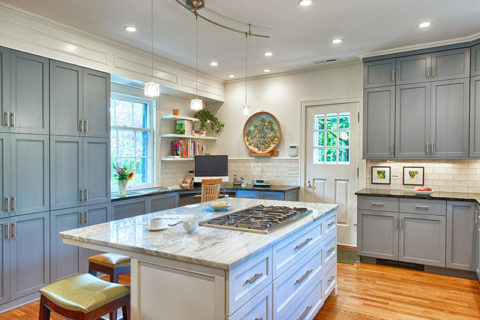 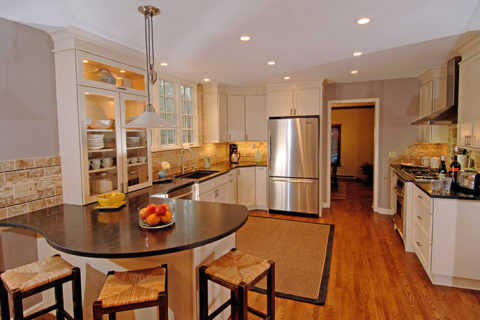 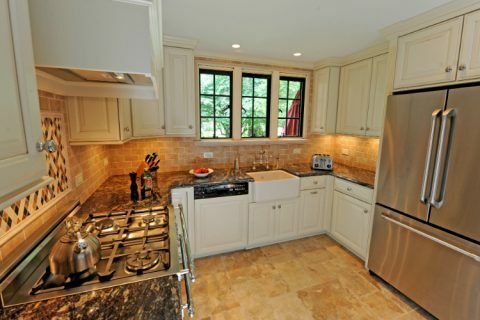 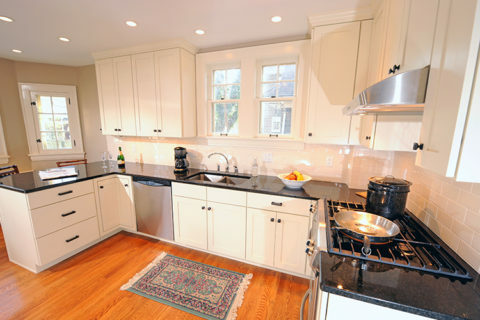 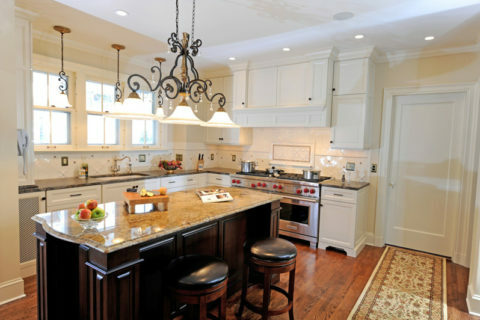 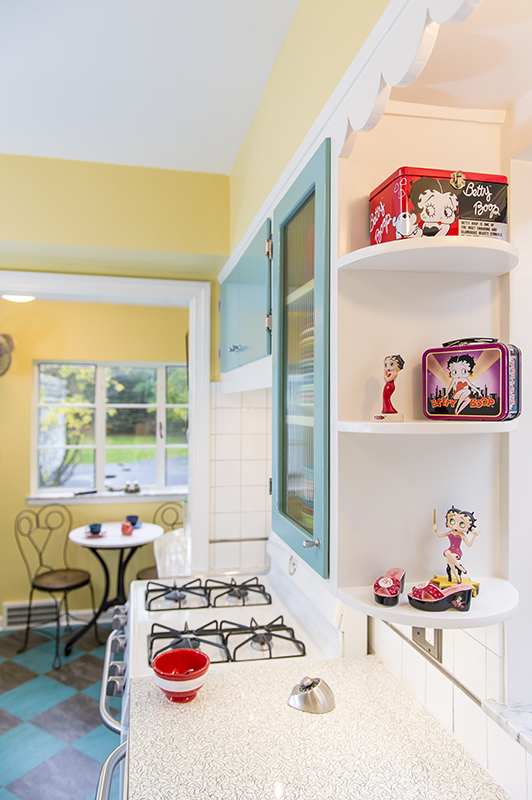 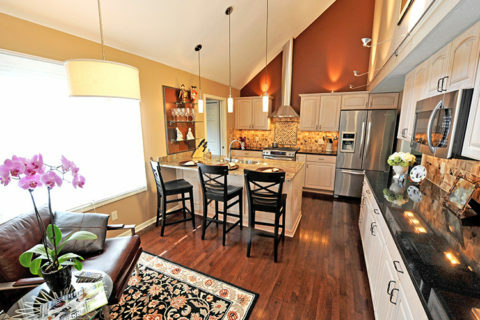 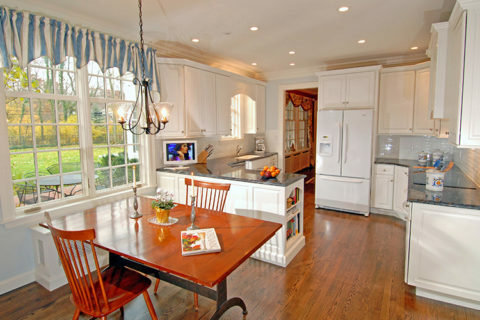 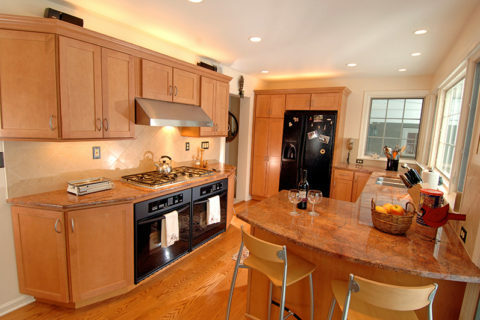 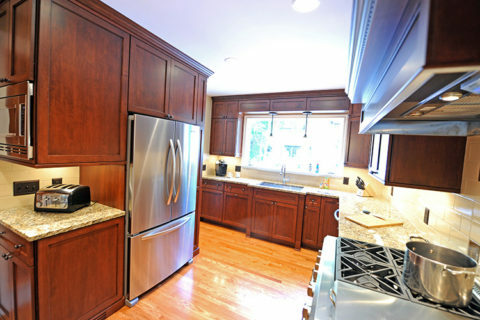 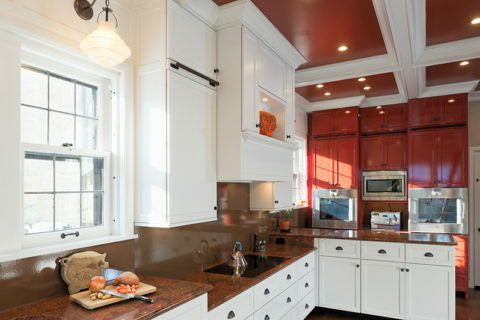 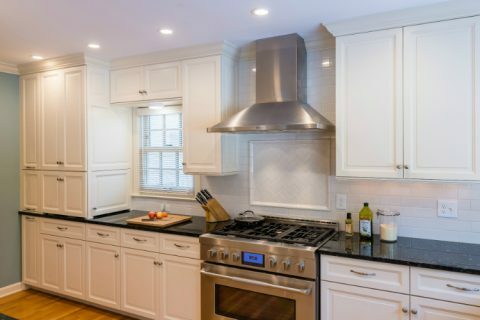 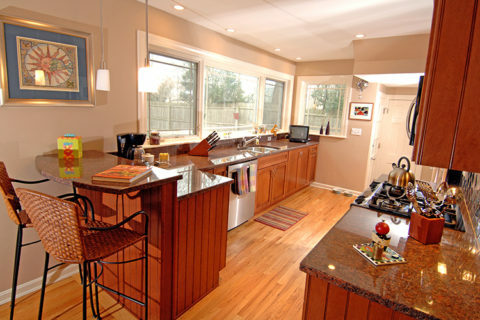 The kitchen functions well as a one cook kitchen while allowing plenty of opportunity to display the owner’s Betty Boop collectables, other unique collectables, and an extensive, daily use Fiesta Dinnerware collection. 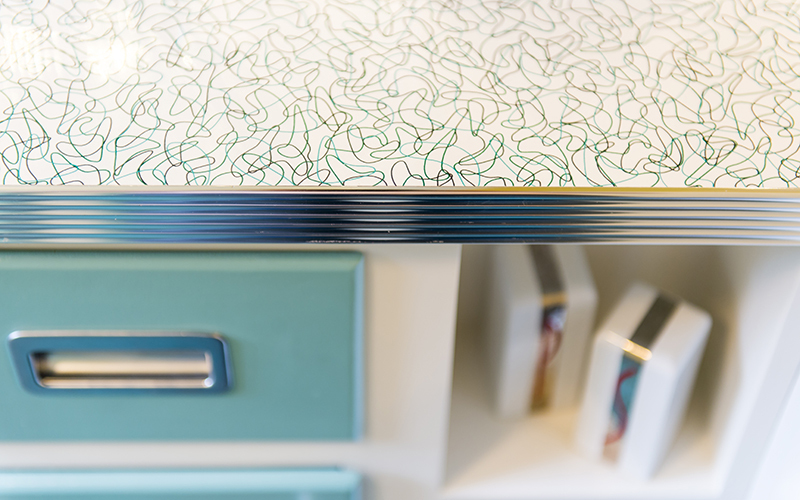 Challenges: Space constraints; out of level floor; window issues; finding a competent vendor to make metal edge-banded laminate counter. 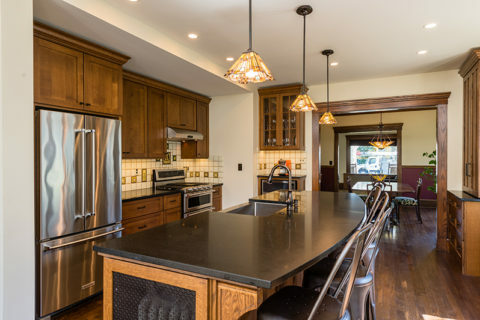 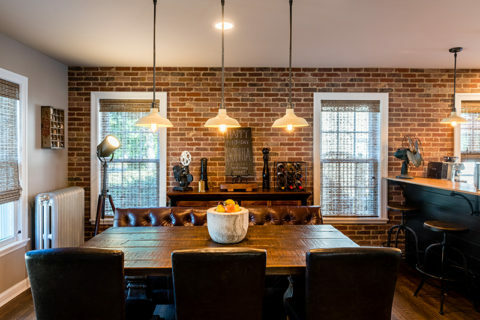 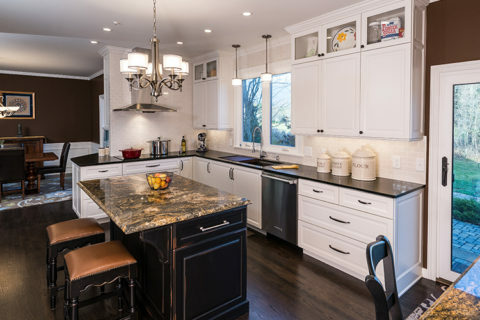 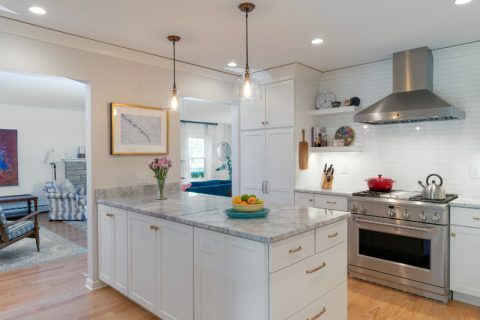 Features: Retro General Electric Artistry Appliances, Marmoleum flooring, laminate counters with metal edge-banding, glass cabinet doors, exposed cabinet hinges. 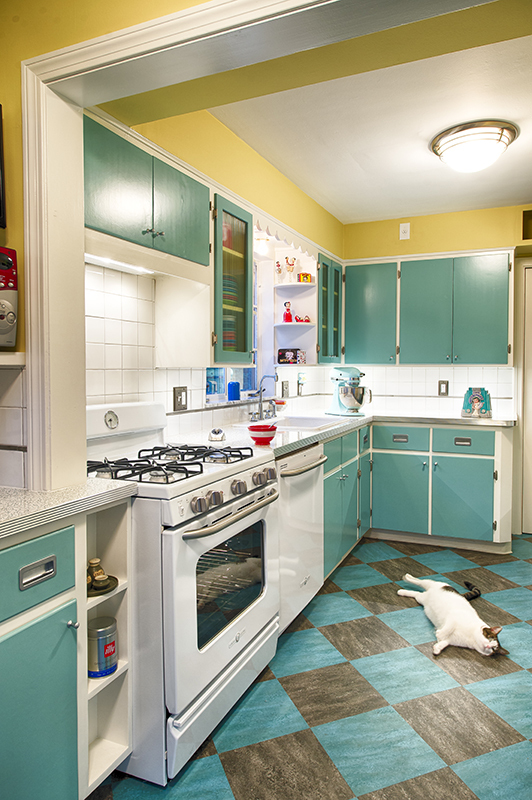 Comments: That counter setup really ties things together. 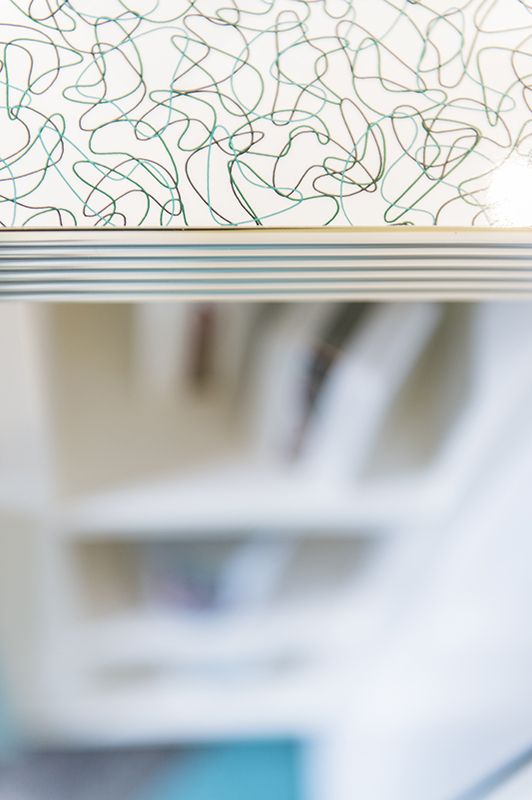 Metal edge banding is something I haven’t seen in a long time.